Paleo Raw Choc Raspberry Cake. Shock, horror… we’ve made another paleo sweet treat! Eeeee! 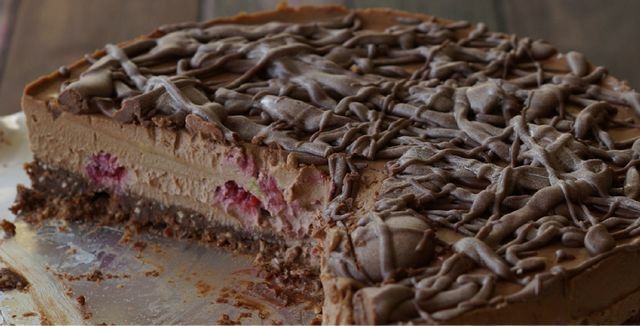 This Paleo Raw Choc Raspberry Cake is officially our new favourite paleo sweet treat. It featured in our recent article in The Canberra Times (eeek!) as well as GoodFood, The Age, The Brisbane Times, WA Today AND The Sydney Morning Herald! We’ve had a few emails and comments asking for the recipe, so of course we just had to share it with you all! This paleo recipe looks long but we cross our hearts and swear it’s actually really easy to make! 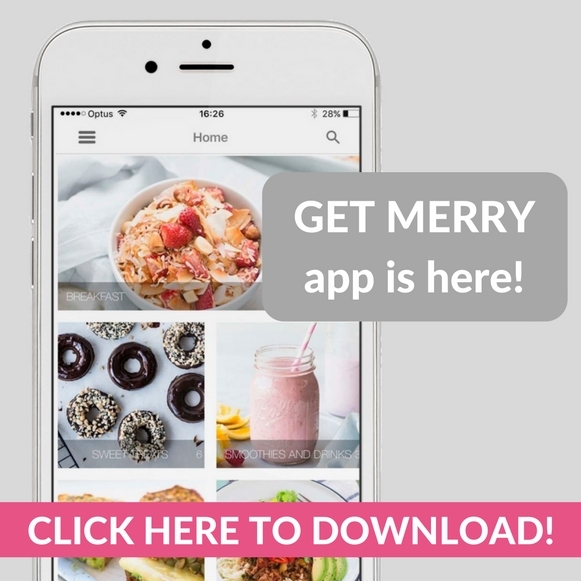 Don’t forget to share your delicious merrymaker recipe creations on social media and #TheMerrymakerSisters so we don’t miss the pictures! We love to share our favourites! 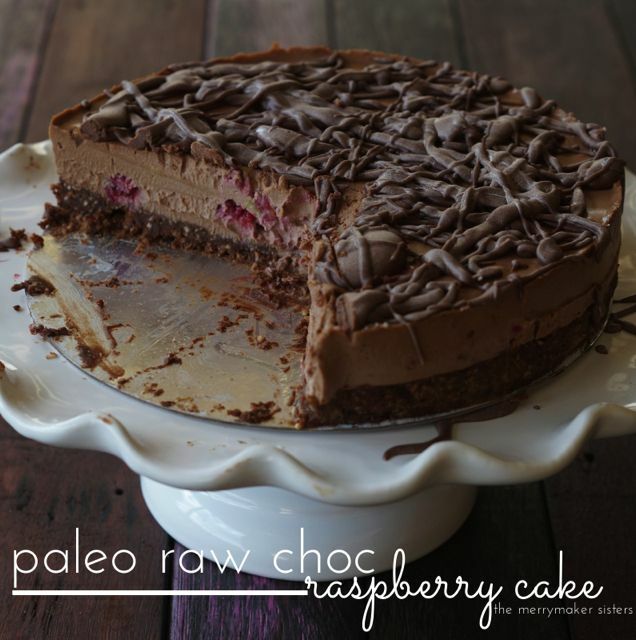 If you like this Paleo Raw Choc Raspberry Cake then you’ll also LOVE our book: Make It Merry! 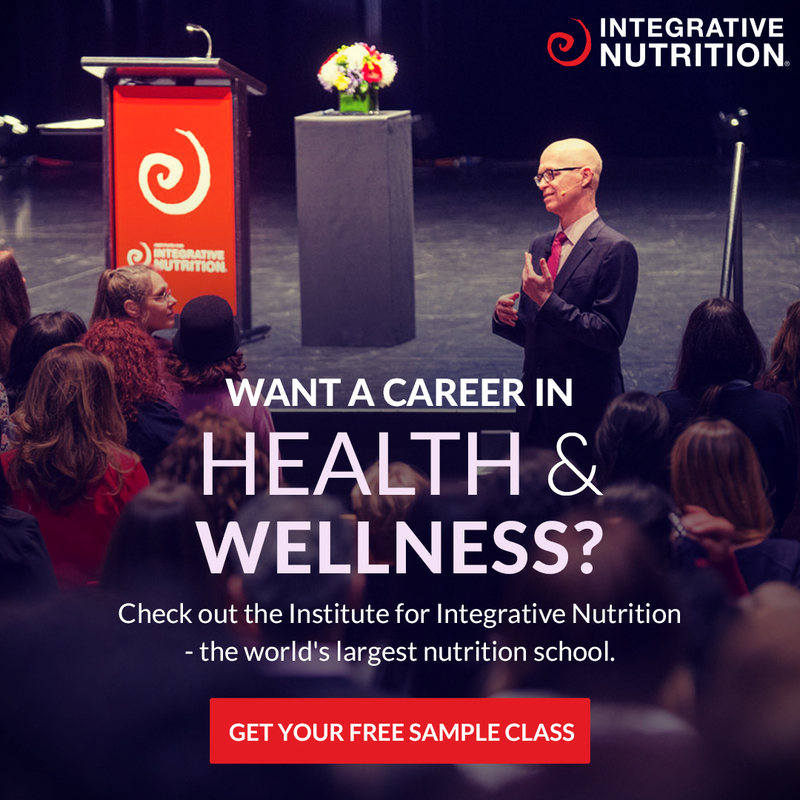 It’s full of paleo sweet treats! Yummo! Start with the base. In a food processor (we use our Vitamix), place the walnuts, raw cacao powder and desiccated coconut. Drain the soaked dates and place them into the food processor, along with the coconut oil. Whiz these until a smooth paste forms. Transfer the paste into the mixing bowl with the meal and mix together (you may need to get your hands dirty for this job!). Drain and rinse the cashews and place them into the food processor. Now add the coconut milk, coconut oil, raw cacao and syrup. Whiz on high speed until completely smooth (this takes around 5 minutes). Add the raspberries and whiz on low for around 1 minute (less time if you want the raspberries more chunky). Take out the base from the freezer and spread the filling on top of the base. Place the cake into the freezer, you could leave the cake as is or make it super special with our topping below! Mix all the topping ingredients in your blender (we use our Vitamix) until smooth, this will take around 5 minutes, the friction from the blender melts it all together nicely. Take the cake out of the freezer and drizzle the chocolate mixture onto the cake and place back into the freezer until the cake is fully set (about 1.5 hours). Store the leftover cake in the fridge. Delish. This is our new favourite cake!